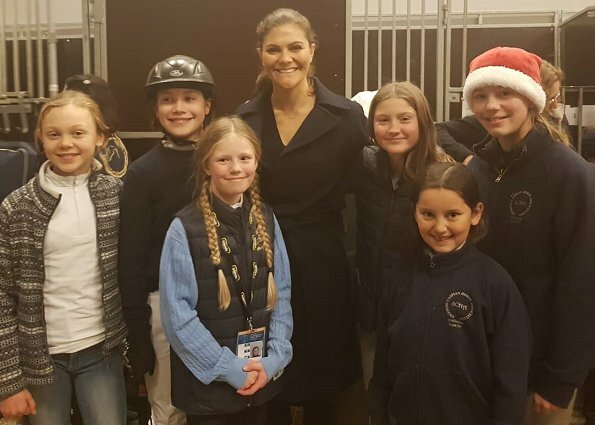 On the afternoon of December 1, 2018, Crown Princess Victoria and her daughter Princess Estelle attended the family matinee event of Sweden International Horse Show 2018 held at Stockholm Friends Arena. 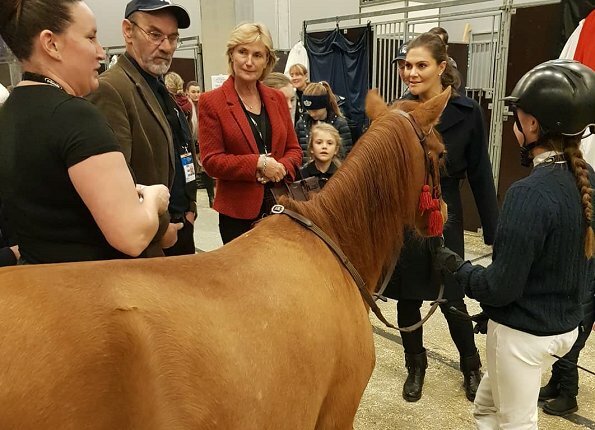 Sweden International Horse Show is an annual event in equestrian sports and includes numerous international competitions with participants from several countries. Lovely as usual. Nice to see Estelle and the other young women! Nice to see Estelle with Mom at this outing. Nice coat Victoria. CP Victoria might not have the best fashion sense but she's got that good natured, serious, regal vibe going on.. Also, she looks more and more beautiful as she ages...! That genuine happiness! Such a pleasure to see such a human. Estelle and mom look so happy , fresh and beautiful.